Queensland representative Peter Hills held another successful training day at Arana Hills. A huge weekend in all. 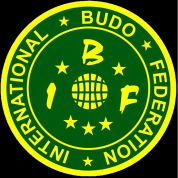 There were several gradings before Sunday's IBF Training Day. Nigel Farrier and Steve Newson were assessed for their new ranks over several months and had flown in from WA to be a part of the Queensland event. We fitted in some site seeing and then they joined in on the Saturday for Peter Hills grading with President Terry Riches and myself. On the Sunday we met with many of the locals in Qld. and had great day of training. The day was finished off with the presentation of the certificates.